Virginia Mason believes in contributing to the communities where patients and staff work and live. We act on this belief by contributing time, energy and money to efforts that benefit the community in the areas of improving health, providing free and subsidized care, and supporting health professionals’ education and research. 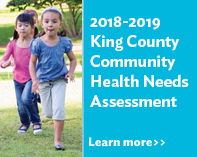 In 2013, Virginia Mason partnered with other King County hospitals and Public Health - Seattle & King County to form Hospitals for a Healthier Community. 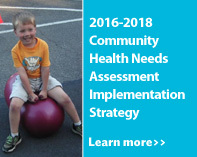 This hospital collaborative developed a 2015 CHNA, and is developing collaborative community programs to comprehensively address community health issues. Every community needs certain health care services that typically cost more to deliver than the provider of the services receives. These “subsidized health services” are part of Virginia Mason’s mission because they are needed in the community and otherwise would not be available to meet patient needs. They include: Emergency Department open to all. 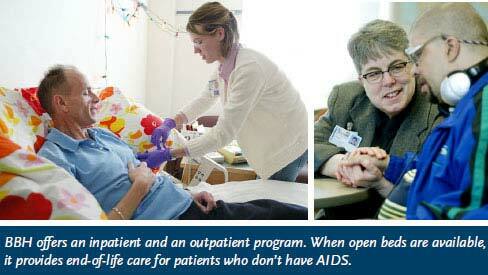 Bailey-Boushay House, an inpatient and outpatient center for people living with HIV/AIDS. Partnership with Public Health - Seattle & King County to provide the Edward Thomas House respite care program for homeless adults in King County. Partnership with Project Access Northwest to provide specialty care services to community clinic patients. Community health education, such as our diabetes prevention program at the Mexican Consulate, Nutrition and Fitness for Life pediatric program, and classes in the Buse Diabetes Teaching Center. Nutrition and fitness education at Mary’s Place, a day shelter for homeless women and children. Healthy cooking demonstrations at Plymouth Housing Group. Free health screenings and health fair sponsorships in the community. Free flu shots and health screenings for uninsured/underinsured and the homeless. United Way — Organizational support and participation in Day of Caring and the Community Resource Exchange. Providing supplies to Medical Teams International for local and global programs. Bereavement support through our Separation and Loss Services. Virginia Mason is a premier teaching hospital that offers postgraduate education programs through its Graduate Medical Education Department (GME). All GME postgraduate training programs are fully approved by the Accreditation Council on Graduate Medical Education (ACGME). Virginia Mason trains more than 100 residents and fellows annually. Numerous medical center physicians have faculty appointments at the University of Washington. Virginia Mason serves as an internship site for students in a variety of other health programs, such as nursing, pharmacy, respiratory therapy and laboratory technology. 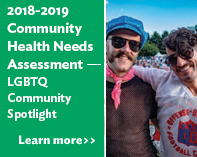 Virginia Mason’s GME program partners with Public Health — Seattle & King County Health Services Division, providing 12 residents for the Eastgate Public Health Center. As a nonprofit organization, Virginia Mason is committed to serving patients who are uninsured, underinsured or otherwise unable to pay for their medical care. Virginia Mason provides support for medical research at Benaroya Research Institute at Virginia Mason (BRI). BRI is committed to finding causes and cures for autoimmune diseases such as type 1 diabetes, rheumatoid arthritis, inflammatory bowel disease, multiple sclerosis and immune system diseases such as allergies and asthma. BRI's world-renowned scientists are dedicated to predicting, preventing, treating and ultimately eliminating these lifelong, chronic diseases. BRI also oversees all clinical research at Virginia Mason supporting clinical investigators in studies across a wide variety of diseases and conditions that helps advance medicine for Virginia Mason patients and many others. Virginia Mason also assists with BRI’s support of key patient advocacy organizations that help people live with autoimmune diseases, allergies and asthma. Together, Virginia Mason and BRI work to improve people’s lives through remarkable care and exciting medical advances. Project Access Northwest (PANW) - Providing specialty care to community clinic patients. Edward Thomas Respite Program - Providing recuperative care for homeless men and women. SeaMar, YWCA, Mexican Consulate Ventanilla de Salud program, El Ray 1360 radio - Providing sponsorships and diabetes prevention education at the consulate, on the radio and at community health fairs. 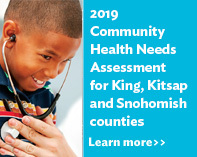 WSHA Community Health Needs Assessment Collaborative - Participating in the collaborative and advisory group to provide leadership with our hospital partners for collaborative community benefit work. United Way - Participating in Day of Caring and providing free flu shots during the Community Resource Exchange. Medical Teams International: Providing supplies for local and global programs. Meeting or exceeding all environmental laws and regulations. Conserving energy, water, materials and other resources. Minimizing waste through source reduction, reuse and recycling programs. Continually increasing our purchases of environmentally preferable and/or local products and services. Empowering our employees to innovate in ways that reduce our environmental impact. Educating our patients, team members and community on the environmental and health benefits of sustainability. For more information on EnviroMason, visit VirginiaMason.org/EnviroMason.